The best credit cards often come with annual fees. From $59 to $450, these hefty fees can set you back a pretty penny. Here are six questions to ask to determine if a credit card annual fee is worth it. Credit cards that come with annual fees usually dangle some pretty impressive perks in front of applicants. It can be easy to assume that perks like airline miles and cash back would justify annual fees. But that’s not always true. It’s worth taking a step back to decide if paying an annual fee just for the privilege of owning a credit card is worth it. This usually requires tallying up how much you are paying for a card versus the cash value of the perks and bonuses you’re receiving. Before you sign up for a card with an annual fee, here are six questions to consider. Is a Free Credit Card Good Enough? There are many great credit cards that don’t charge an annual fee. One of our favorites is the Citi® Double Cash Card. It pays 2% back on all purchases–1% on each purchase and another 1% when you pay for the purchase. It has no annual fee. If a no-fee credit card gets the job done, there’s no reason to pay an annual fee. Several of the best credit cards have no annual fee. 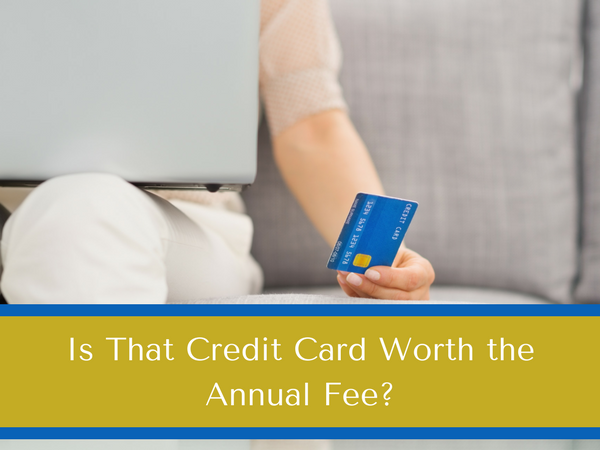 Annual fees vary from one card to the next. The Capital One® Venture® Rewards Credit Card, for example, charges an annual fee of $59. In contrast, the The Platinum Card® from American Express will set you back $550 a year. Before you can evaluate whether the fee is worth the cost, you need to know what it is. Check the terms and conditions of the card you are considering to determine the annual fee. One thing to keep in mind is that many cards with an annual fee waive that fee for the first year of ownership. While this is a nice perk, it’s not a good enough reason to get the card. Still, it’s worth factoring it into the equation. Will You Use Your Card for Everything? Once you know the fee, it’s just a matter of math. You need to estimate how much you’ll charge to the card. For cash back cards, it’s easy to calculate the value of your rewards. For travel cards, it can get a bit more complicated (as we’ll see in a minute). In addition to the rewards, you should also factor in other perks. For example, the Chase Sapphire Reserve? offers a $300 annual travel credit. This credit covers more than half of the card’s $450 annual fee. Another common perk with airline cards is free checked luggage. Once you know the value of the rewards, it’s time to do the math. 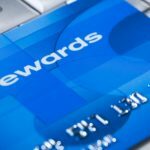 Assuming a card’s rewards are worth 2%, you’ll need to spend $2,500 on the card for every $50 in fees to break even. And this doesn’t include extra perks as described above. How Will You Use the Rewards? Evaluating an annual fee with a cash back credit card is straightforward. It gets trickier with a travel card. With many travel cards, the value of the rewards depends on how you use them. For example, the Chase Sapphire Reserve? cards points are worth 50% more when you book travel through Chase. Thus, you need to determine how you’ll use these rewards in order to assess their value. Will You Earn the Bonus? The massive bonuses offered to new cardholders tempt a lot of people into signing up. Who could say no to the 50,000 bonus points offered by the Chase Sapphire Preferred® Card to cardholders who spend $4,000 within the first three months of owning the card? You have a lot to gain when you consider that the annual fee of $95 is waived for this card for the first year. While you should consider a card’s signup bonus, keep a few things in mind. First, you have to meet a spending requirement within three to six months to qualify. Depending on the card and your spending patterns, this can be a tall order. Second, it’s a one-time bonus. I prefer to think long term when it comes to credit cards. Finally, an attractive bonus could be hiding other features of the card that are less appealing. A high interest rate comes to mind. 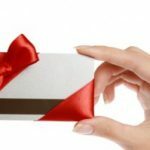 You can check out our list of credit card bonuses here. People who travel frequently actually have some of the best reasons for paying annual fees for certain credit cards. In fact, it can be a foolish decision to skip a card with fees if you travel at least once a month for business or pleasure. You are almost certain to earn back your annual fee and get some free miles or other perks if you use your card for travel. Credit cards that are co-branded with airlines actually go far beyond just giving bonus miles. They actually help you enjoy a luxurious, low-hassle experience whenever you fly. An option like the Gold Delta SkyMiles® Credit Card allows you to earn up to 35,000 bonus miles, a free checked bag on every flight, and priority boarding. 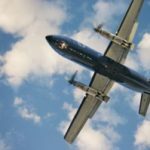 The $95 annual fee for this card quickly starts to look like nothing when you factor in things like baggage fees and the hassles of boarding without priority status. Do You Want to Transfer High Rate Balances? Some credit cards offer 0% interest on purchases, balance transfers, or both. The balance transfer option is attractive if you have balances on cards with high interest rates. If that’s you, keep two things in mind. First, the best balance transfer cards don’t charge an annual fee. These cards offer 0% for up to 21 months. There’s no reason to pay an annual fee if your goal is to transfer a balance to a 0% card. Second, in most cases you do pay a separate balance transfer fee when you transfer a balance. The fee is typically 3%, although this varies. The point is that you don’t want to pay an annual fee on top of a balance transfer fee. If a balance transfer is your goal, check out these offers. What’s Your Favorite Credit Card?